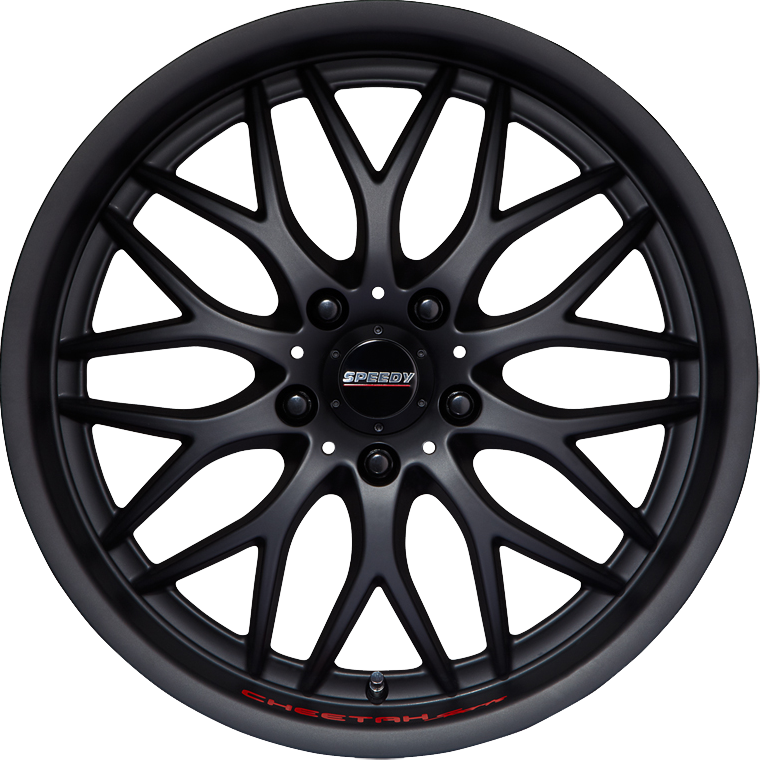 Speed Wheels Cheetah Sports is the most enduring and popular wheel style in the range. Speed Wheels Cheetah Sports is the most enduring and popular wheel style in the range. The Cheetah Sports wheel has a classic mesh design which is complimented by a wide outer wheel lip, providing it with purposeful and performance oriented appearance. The Cheetah Sports also comes painted in full Black Suede and highlighted by a red decal applique positioned on the rim lip adjacent the valve.